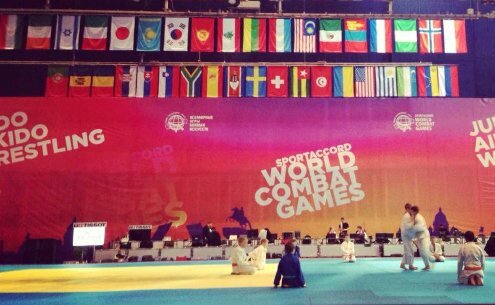 On October 8, we organized and conducted the training for temporary staff, operating at this very bright sporting event of this fall the World Combat Games 2013. About 150 experts in the organization of major international events gathered at the business center of the Marine Station to learn the mission and objectives of the project, the features of each object and his/her own role at the event. The participants got acquainted with the organizers of the Games, members of the management board, and program coordinators. The staff underwent the training in their area of responsibility (accreditation, catering, accommodation or transport services), as well as receive valuable advice on participation in the project of international scale at the Life-Style Management workshop. As a result of the 9-hour training, the staff was given personal certificates, and the team of world-class experts, who were ready to perform as perfect event-managers, and, if necessary, to put any challenge down, was made up.